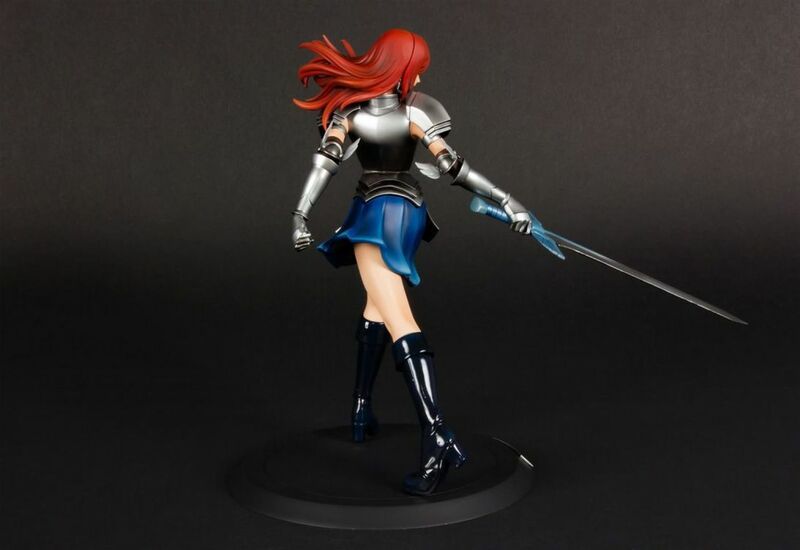 Erza Scarlet, from the Fairy Tail franchise. One figure Erza, its base in a window box. 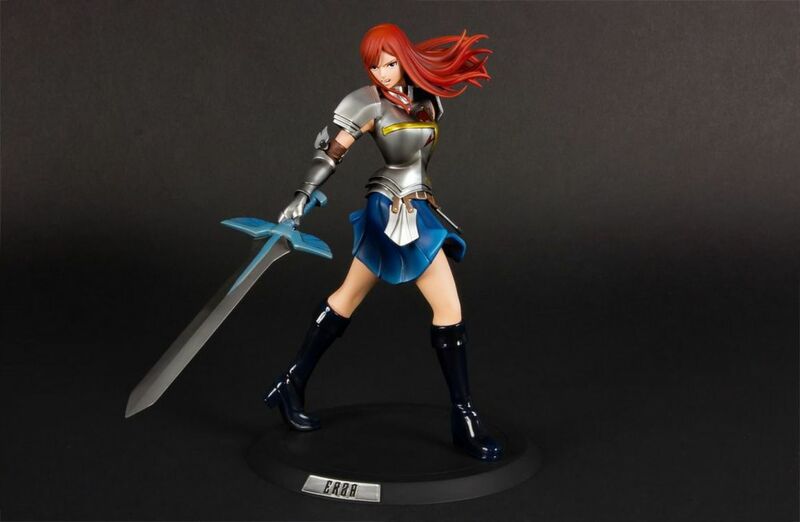 Erza is one of the strongest members of the Fairy Tail guild. She’s a knight and a Requip magic user so she can change armor and weapon anytime. 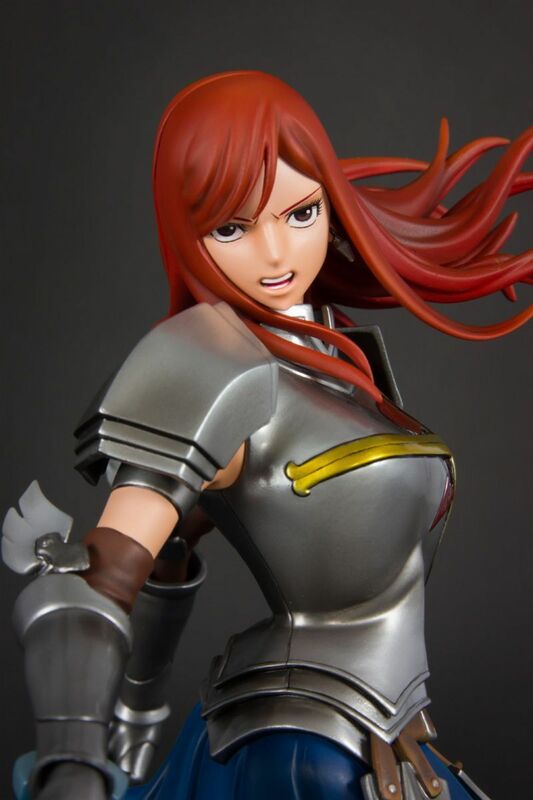 Her strong personality and her tremendous strenght frighten even her comrades in the guild. 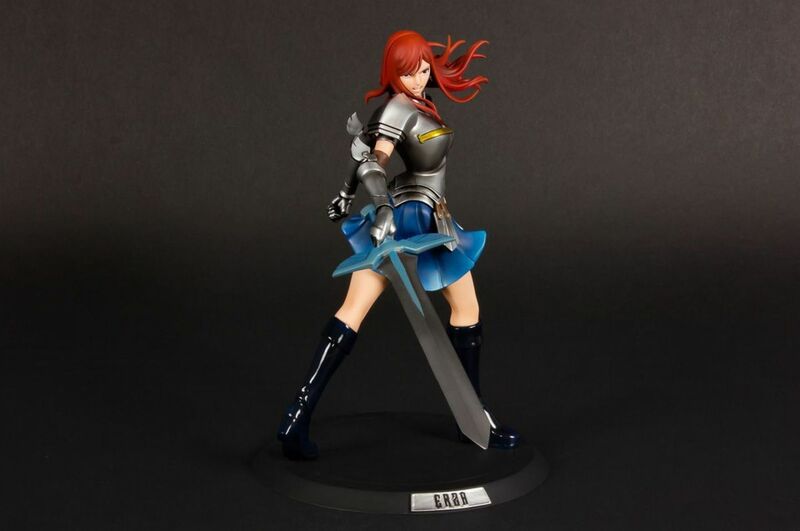 Erza is standing straight, holding in her right hand her sword. 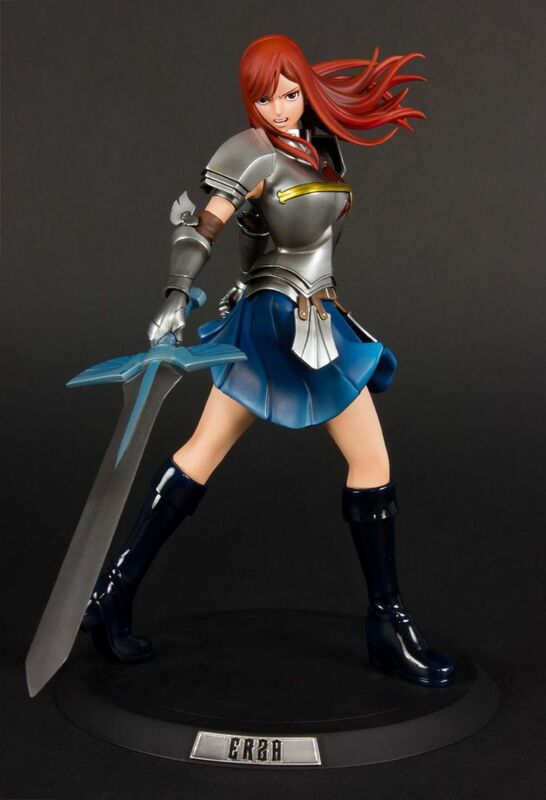 She wears the second version of the Heart Kreuz’s armor. She also wears a blue skirt and boots going all way up to the knees. 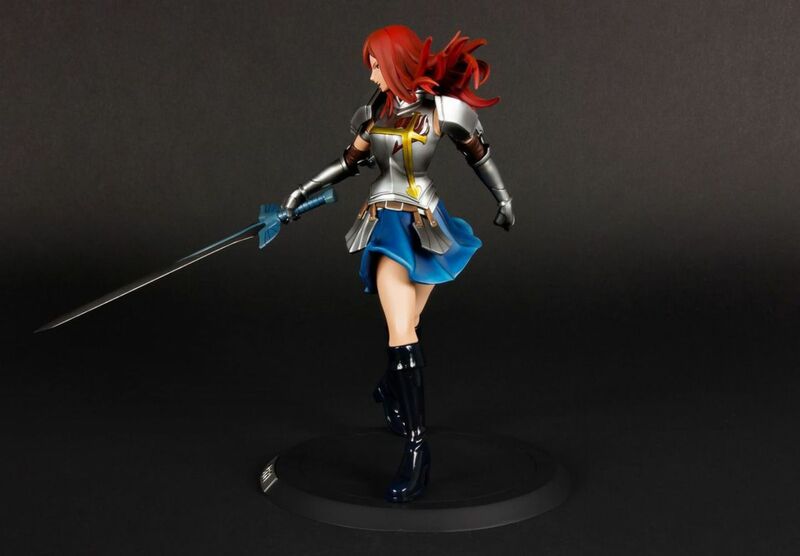 It is the second version of Erza’s armor we chose. 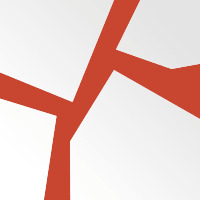 It has a yellow cross, centered over the heart, with the red symbol of the guild. The spaulders are quite precise. 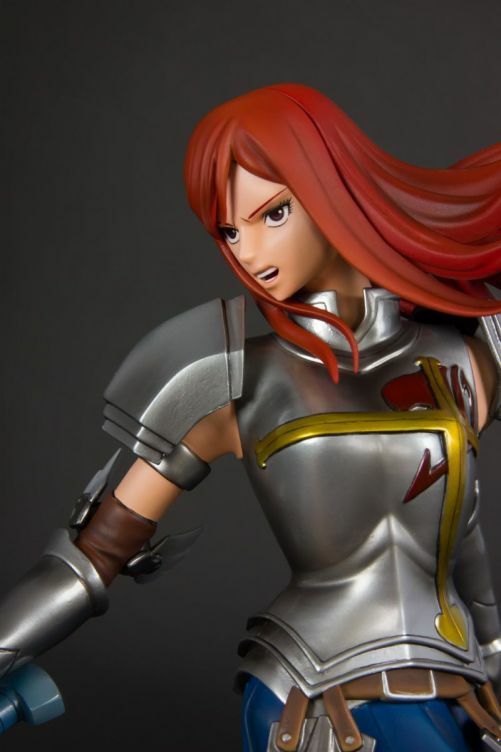 Its design smoother and with a touch of color highlights the Erza’s dangerous beauty. Movement is suggested by the light twist of her skirt and wind in her hair.